Thinking about your next holiday? Do you enjoy pristine beaches, great surf and fresh seafood? Then put Ballina on the list! 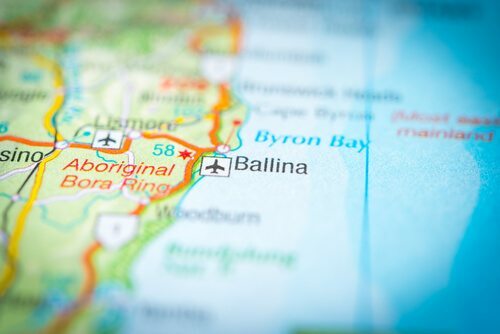 Ballina ticks all these boxes and more – lush subtropical rainforests, whale watching, cinemas, golf and shopping to name a few ­ — making it the perfect destination for families, couples and singles. Our wonderful region is characterised by diversity. There is a huge variety of plant and animal life, and our friendly, laid-back communities are filled with people from different cultures, backgrounds and lifestyles. Ballina is the commercial centre of an area that includes the towns of Alstonville, Newrybar, South Ballina, Wardell, Lennox Head and Tintenbar. There is plenty to see and do in Ballina, but is it also a wonderful place to simply sit back and enjoy the beautiful beaches, the relaxed pace and friendly vibes. One of the most popular places to visit is the Ballina Naval & Maritime Museum. It boasts the largest collection of naval and merchant ships in Australia, as well as being packed with interesting stories and displays. The Big Prawn has always brought tourists to our town, but we also have a huge variety of stylish boutiques, lively markets and interesting craft shops. Enjoy a meal at one of our fabulous restaurants, or order a coffee and indulge in some quality people watching. If you like adventure, you can choose from kayaking tours, bushwalking, or hire a bicycle and explore 25km of bike paths! Ballina is the perfect place to base yourself so you can explore our wonderful region. There is a variety of accommodation in Ballina – everything from motels to serviced apartments. Our Ballina motel offers quality rooms at affordable rates, all with ensuite bathrooms and air conditioning. We are also conveniently located just a 2 minute walk from Ballina RSL so you can enjoy fabulous food and entertainment right on your doorstep! Rooms are filling up quickly for the busy Christmas and New Year period so Contact Us to book your Ballina motel room!